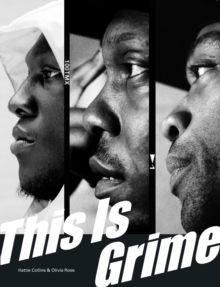 'In British music, you have indie, rock... Grime is now one of those pillars. It's a foundation of British music.' - StormzyShortlisted for the Penderyn Music Book Prize 201713 years ago, from the depths of Bow E3, the voice of a generation emerged. It was dark, it was angry, it was loud, it was unapologetic. It was provocative and fiercely independent. It was the brittle sound of disillusionment, resentment and despair, but also the voice of hope... This Is Grime. Written by Hattie Collins (i-D, the Guardian, The Sunday Times), an authority on Grime who has documented the scene since its beginnings, and accompanied by beautiful images shot by award-winning photographer Olivia Rose solely for the book, THIS IS GRIME will have unrivaled access to the artists and influencers who have created and cultivated the culture over the past fifteen years. Telling their stories and the story of this musical culture - one of the most significant working class British subcultures of its time - in tandem.